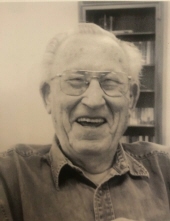 Nicholas T. “Nick” Luciano, 95, of Bridgewater, NJ passed away on Saturday, April 6, 2019. Born in Newark to the late Anthony and Rose (Ventri) Luciano, Nick lived in Kenilworth, NJ for most of his life before moving to Toms River in 1995, then Bridgewater in 2014. He was a proud US Army Air Corp veteran serving during World War II. While living in Kenilworth, Nick served as Health Commissioner for over 25 years. He was Past President of the Holy Name Society as well as a 3rd degree Knight of Columbus at St. Theresa Church. He was predeceased by his son, Nicholas A. Luciano. Nick is survived by his loving wife of 72 years, Mary (DiFeo) Luciano; devoted daughter, Linda Gothier and her husband, Ron, of Bridgewater. He was the loving grandfather to Nicholas Gothier, Mary Rose Strickland, Michael, Tom and Anne Luciano. Nick was also the loving great-grandfather of 2 with a 3rd due in July. He was the dear brother of Angelina Luciano, the late Joseph and the late Jenny, Diana and Mary. Relatives and friends may call Tuesday, April 9 from 4 – 7 p.m. at Hillsborough Funeral Home, 796 Route 206, Hillsborough, NJ. A Mass of Christian Burial will be held on Wednesday, April 10 at 10:00 a.m. at St. Bernard of Clairvaux Church, 500 Route 22, Bridgewater. Interment will be in Brigadier General William C. Doyle Memorial Cemetery, Wrightstown, NJ. To send flowers or a remembrance gift to the family of Nicholas T Luciano, please visit our Tribute Store. "Email Address" would like to share the life celebration of Nicholas T Luciano. Click on the "link" to go to share a favorite memory or leave a condolence message for the family.